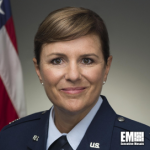 Pamela Powers, a more than 28-year U.S. Air Force veteran, has been appointed to the Senior Executive Service and assigned as senior adviser to the undersecretary for personnel and readiness at the Defense Department. The retired Air Force colonel previously served as mobilization assistant to the the service branch’s assistant secretary for manpower and reserve affairs, DoD said Monday. Powers, who began her military service in 1989, holds more than two decades of active duty and reserve experience in the communications, strategic planning and programming, legislation, policy, executive support and operational areas. She also served as DoD Congressional Fellow within the Office of Sen. Susan Collins (R-Maine) and provided advice to the Air Force secretary and chief of staff on policy matters. Before she assumed her position at SAF/MR, Powers was the executive director of the Air Reserve Forces Policy Committee at the Office of the Deputy Assistant Secretary of the Air Force for Reserve Affairs and Airman Readiness. She holds a bachelor’s degree in organizational psychology from the Air Force Academy and a master’s degree in strategic studies from the U.S. Army War College.